July 30, 2018  A chat with the legend himself and band member Cameron Graves on the new album The Message. 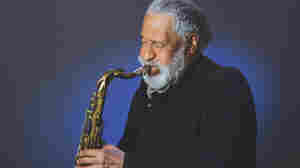 March 12, 2012  Hear from tenor saxophonist Sonny Rollins, drummer Jack DeJohnette and bassist Stanley Clarke. September 6, 2011  From '70s fusion on down, hear five electric bassists who turned the spotlight on the low end in jazz. 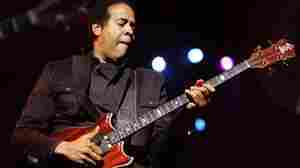 February 15, 2008  Stanley Clarke has more than 65 film scores to his credit, including Boyz 'n the Hood, Passenger 57, and Undercover Brother. Farai Chideya talks with legendary jazz bassist, composer, and film score composer about the role of music in the movies. 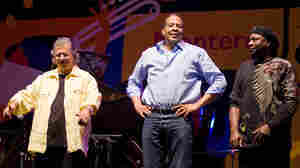 October 3, 2008  Featuring Stanley Clarke, Marcus Miller and Victor Wooten, the electrifying S.M.V. blows aways audiences with their new project, which spans three generations of bass styles. In addition to a session by S.M.V., there is a bonus set with just Victor Wooten. November 26, 2007  When he was only 25, the word "legend" was already being used to describe Stanley Clarke. Now, he's a king of the acoustic and electric jazz worlds, having won every major award available to a bass player. Hear an interview with the jazz/fusion innovator.